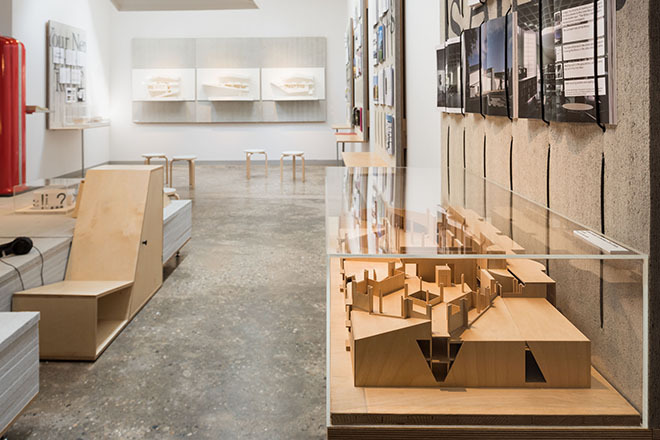 The 16th International Architecture Exhibition of La Biennale di Venezia closed on Sunday 25 November showed a continuous growth in visitor numbers. The Finnish pavilion’s Mind-Building exhibition gained an enthusiastic reception both among biennale visitors and international media. In March 2019, the exhibition will travel to Helsinki. The theme of Mind-Building, the story of Finnish libraries and their architecture responded well to the Biennale Architettura 2018 Curators’ ‘Freespace’ Manifesto. 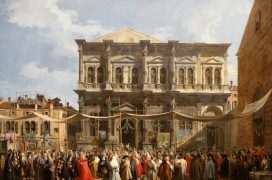 A record number of 90 000 visitors saw the exhibition during the six months in Venice, while the total number of visitors in the Biennale Architettura has also continued to grow: this year, in addition to the almost 15,000 attendees of the preview days, a total of 275,000 people visited the 16th International Architecture Exhibition, in comparison to the 260,000 in the previous 2016 edition. 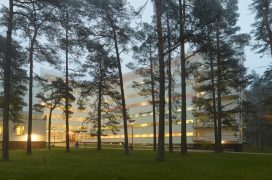 Mind-Building and the Finnish library institution gained particular attention due to the upcoming opening of the state-of-the-art Helsinki Central Library Oodi but also because of the increased global appreciation of democratically available education. A multitude of international journals and channels highlighted the Finnish Pavilion on their must-see listings and published articles about it, including CNN, The Guardian, Financial Times, Monocle, Abitare, Domus, Icon, Blueprint, Wallpaper, Elle Decor and Frieze. 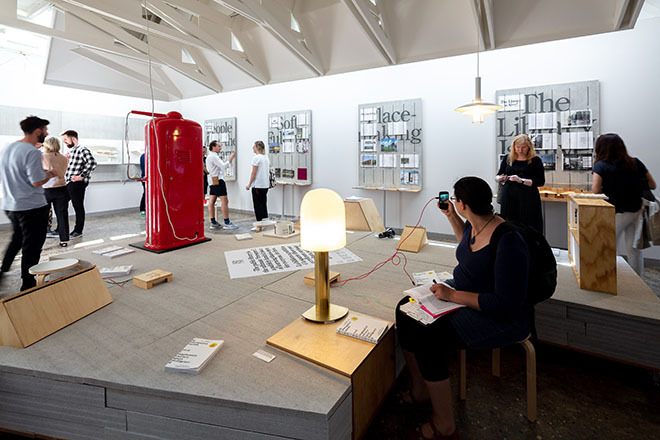 “The Finnish Pavilion shows the world just how interesting a library can be,” stated Monocle. “Designed by Alvar Aalto in 1956 […], the Finnish Pavilion is one of the Giardini’s most compact. Yet Mind-Building is among this year’s most expansive offerings. Curator Anni Vartola, a critic and scholar, has cannily taken the Biennale’s theme of Freespace as an opportunity to delve into the history of Finland’s public libraries – institutions that, open to all and devoted to fostering access to texts, could stake a claim as the ultimate ‘Freespace’,” mused Abitare. “The Finnish exhibition ‘Mind-Building’ [is] a multi-contributor micro-museum of library design. 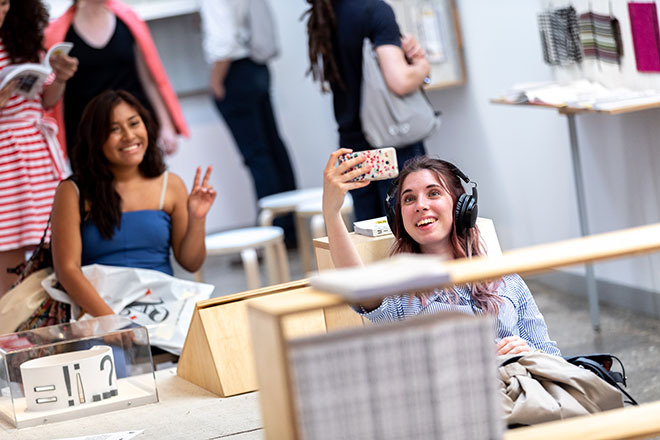 […] The show is a rich, focused curatorial paean to the transformative power of public libraries, both on the individual imagination and on the wider society,” wrote Frieze. Making Finnish architecture internationally known and increasing global interaction in the field of architecture are at the core of Archinfo Finland’s activities. One of the most significant arenas for this is the Biennale Architettura in Venice. 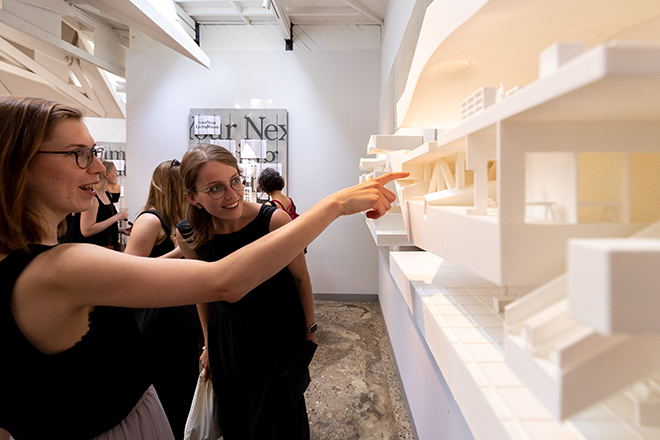 This year Archinfo Finland was for the first time in charge of Finland’s representation at the International Architecture Exhibition of La Biennale di Venezia. “I couldn’t be more pleased about the wide attention the exhibition and our library buildings have received. This gives us a fantastic foundation for continuing to make Finnish architecture visible and known around the world,” states Hanna Harris, Commissioner of Mind-Building and Director of Archinfo Finland. “Choosing library architecture to represent Finland in this year’s International Architecture Exhibition in Venice is a tribute not only to the Finnish library institution and library architecture but also to Finnish democracy. I am delighted that our libraries and architects have gained such a great reception at this prestigious international stage, both in Venice and in the media,” says Director General Riitta Kaivosoja of the Ministry of Education and Culture, Finland, which was the project’s main supporter. The Finnish Pavilion’s events programme included an architecture theme week organised in over 20 libraries in Finland during the first week of October and, in the last week of the architecture biennale, a library seminar organised within the Biennale’s ‘Meetings on Architecture’ series in Arsenale, Venice. During the same week, the Pavilion of Finland offered complimentary library workshops run by Helsinki City Library librarians. 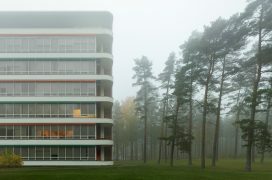 In addition, two books were launched in conjunction with the exhibition: a book on the Pavilion in the series Architecture by Alvar Aalto published by Alvar Aalto Museum and Alvar Aalto Libraries by Sirkkaliisa and Jari Jetsonen. 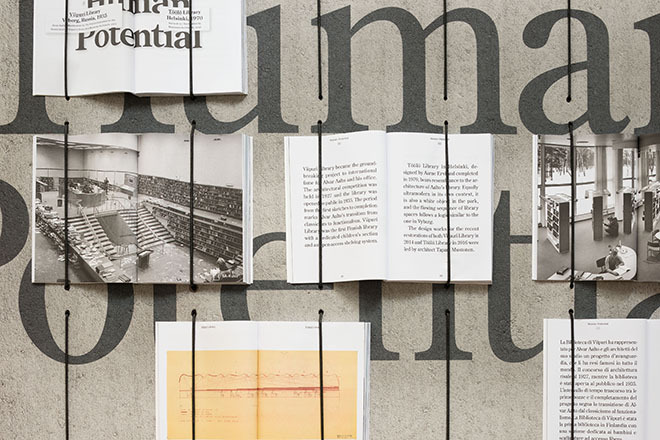 After the closure of the Biennale Architettura 2018, the Finnish Pavilion’s exhibition may be revisited in March 2019 when Mind-Building arrives to the place where the whole story of the exhibition as well as Finnish library architecture up until today culminates: Helsinki Central Library Oodi. Opening on 5 December, the new flagship building by the Finnish practice ALA Architects will turn the eyes of the entire library world to Helsinki. More information on the upcoming Mind-Building exhibition at Oodi will follow in January.